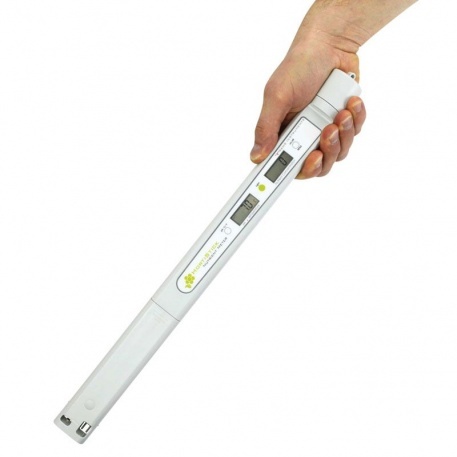 The HortiStick is a three-in-one instrument that combines the measurement of pH, conductivity (mS) and temperature. 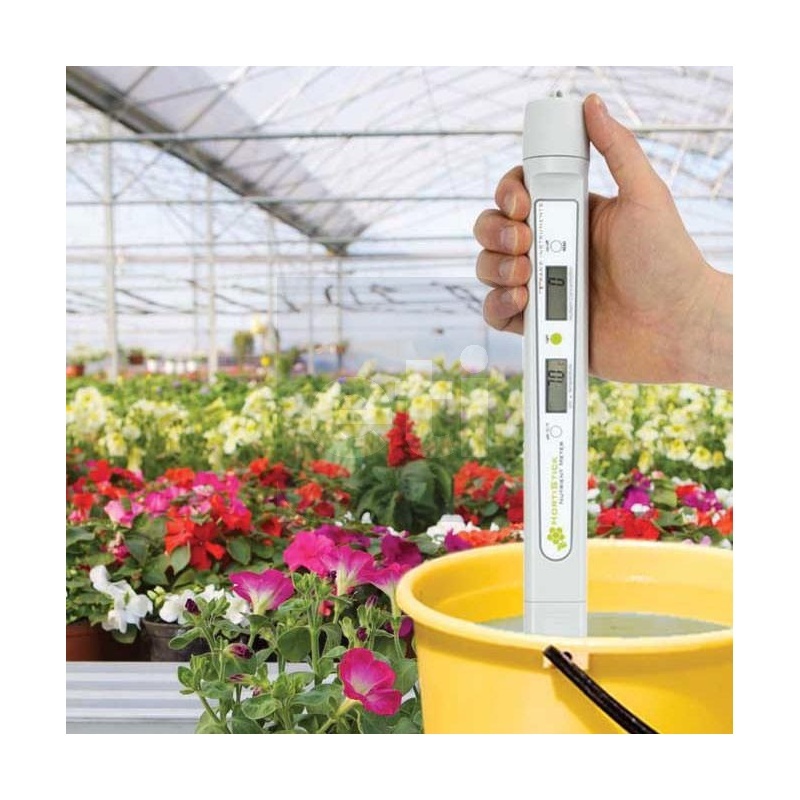 The new HortiStick is a three-in-one instrument that combines the measurement of pH, conductivity (mS) and temperature. The unit simultaneously displays nutrient concentration along with either pH or temperature. 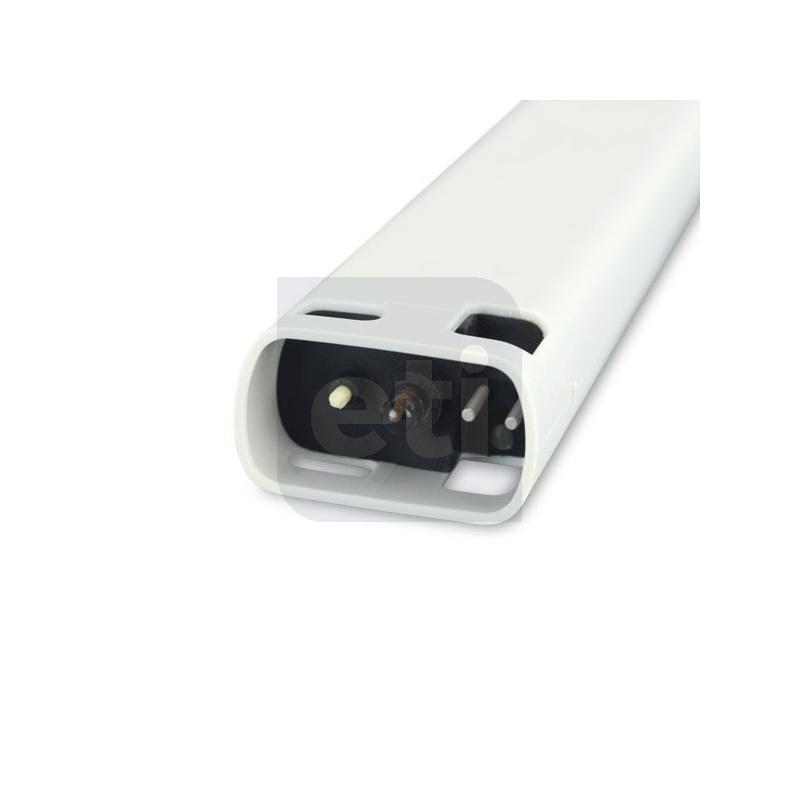 This simple, easy to use meter is ideal for the testing of hydroponic solutions and water treatment processes. The instrument features two clear LCD displays and indicates pH and temperature over the range of 0 to 14 pH and 0 to 49.9 °C. The HortiStick incorporates both automatic temperature compensation and a one-touch auto-calibration feature, as well as display hold and auto-power off, maximising battery life. The instrument is suitable for everyday use and is housed in a rugged, water resistant case with built-in shock resistant sensor measuring 32 x 35 x 165 mm which offers IP65 protection. For prolonged use, a replacement electrode is also available. 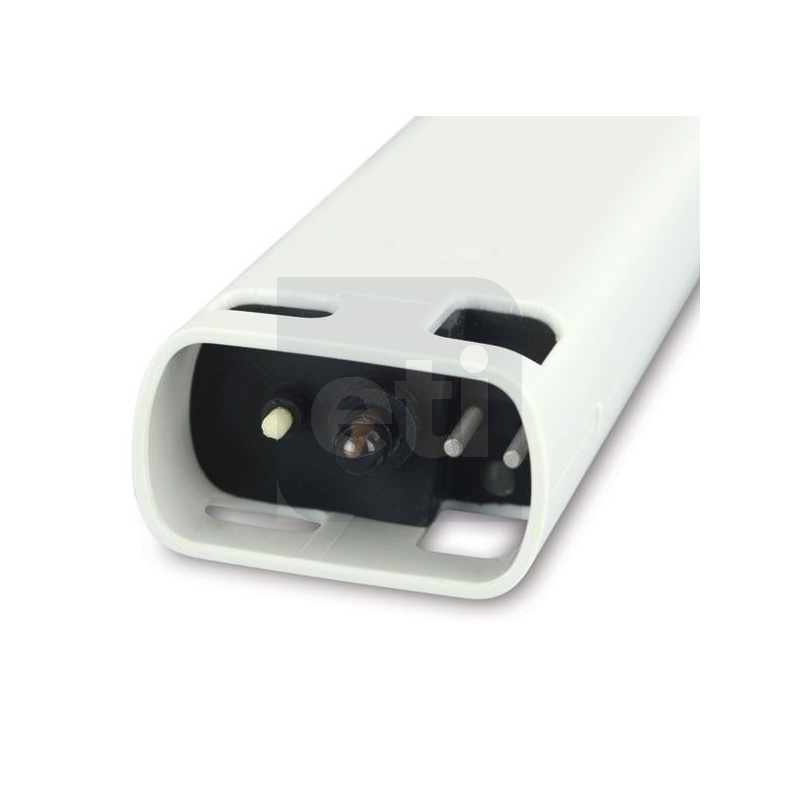 The HortiStick is supplied with a protective cap.